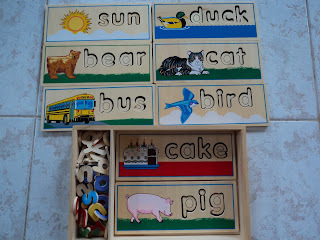 When I introduced first words to Eaton I started by teaching him proper sounds of each letter of the alphabet. It was quite easy process and very straightforward. Here is the video of Eaton at 15 months reading sounds of letters. 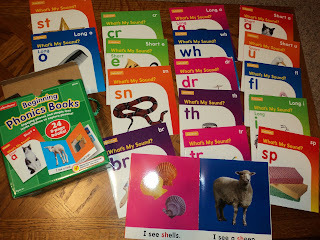 I want to show you 2 activities and a set of books I presented to Eaton to teach him basic phonics. I presented that activity to Eaton when he was about 15 moths old. Whenever I present that activity to Eaton I show him only one word with letters necessary to create that word. Babies have a tendency to play with everything once you show them too many pieces. We still have that activity available on a shelf. There are words on other side of the wood card. Together 16 words. 2) Spelling fun. I bought that set in Ross for few dollars. The only website I found that available now is Ebay or you can still find that in Ross store. 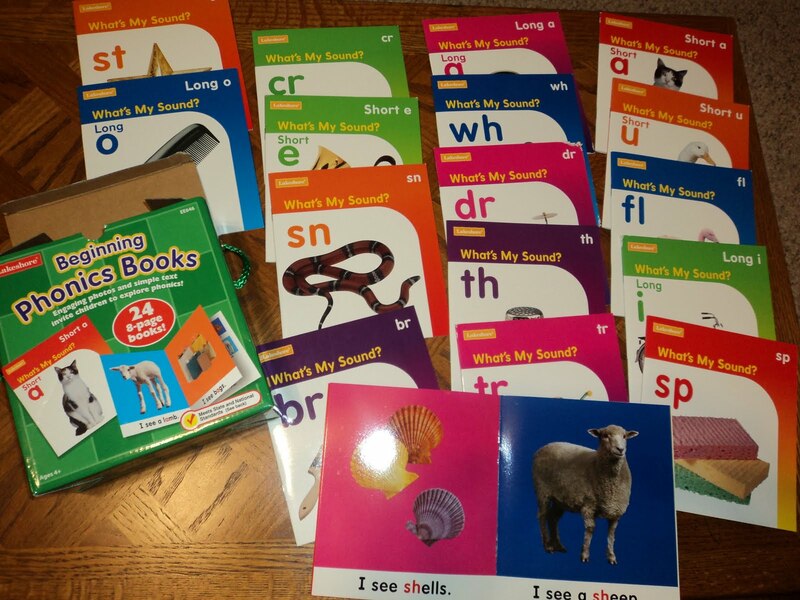 It's a next step for Eaton to practice phonics as there is no indication what letters to use first. Baby needs to follow a written word that is a little bit more challenging at first. We were practicing that activity about 2 weeks before Eaton started to follow my directions of what letter is first, second and the third. 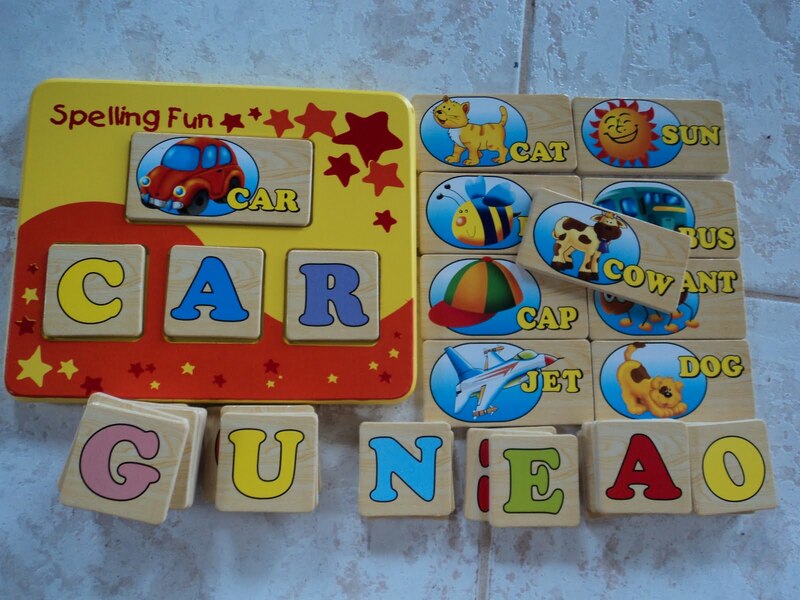 He loves to mix letters just for fun, to make other made up words. So I took my time and I was playing with him during that 2 weeks. Now, he is more consistent with doing that activity properly. And still he has some fun. Like a name of this activity implies, you can use that game for spelling lessons in the future. Here is a video of Eaton working with this set of words. Oh this is so sweet. Josiah learned his letters a few months ago as well. It was a bit of an accident. His Aunt made him some cloth letters and he walked up and handed one to me one day. I told him the sound it made. He was so happy he handed me another and another til we had gone through them all. 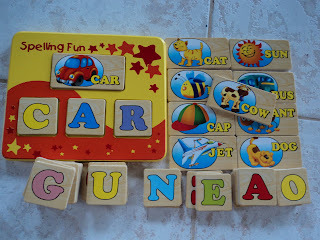 In about a week or so I found him playing on the floor and pulling out the letters and saying the sounds aloud to himself. He now points out every letter he says and seems to have in infatuation with words! Marta, I was wondering if I might email you for some advice. My email is annisis@uab.edu . Please email me if you have the time so that I may ask you a question. Cloth letters! Josiah's Aunt had a great idea! 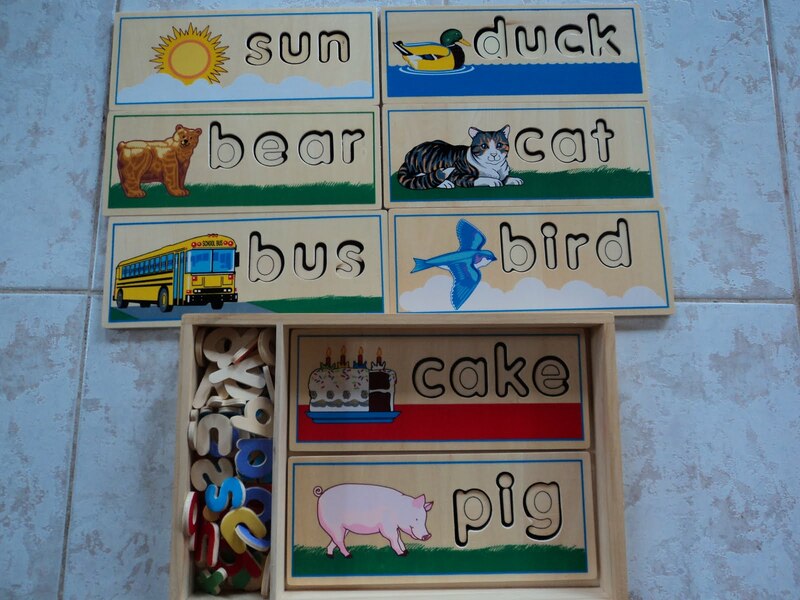 Personalized educational toy is the best gift someone can give! I'm going to write you an email now.